Today, you can use your smartphone and iPad virtually anywhere for any activity, from tracking patterns of your sleep at night to playing in online casinos. 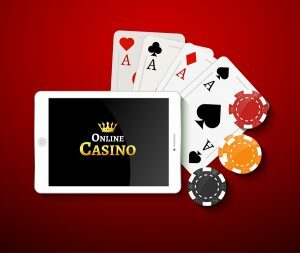 To play in an online casino, you can either go to a website through a browser or use a dedicated app. Both with the websites and apps, you can play for free or visit websites where you can earn money by playing online games or betting on events. Many of the online casinos publish payback winnings for slot games and you can check the casinos for yourself before you decide on where you want to play. Typically, a casino app would be dedicated to one of the classic casino games or allow you to play several games within a single app. The list of games includes blackjack, slots, craps, roulette, and bingo. Some of the most popular entertainment apps are solitaire and Zynga Poker. Solitaire is a classic game that came pre-installed on all Windows PC computers for several decades. In 2016, Microsoft announced that it was bringing the app to portable devices too. The company also created a Solitaire app for iOS. The app became available as a free download for iPhones, iPads, iPod touch and Android devices. The app includes five games that users can play for free. These games are Spider, Klondike, Freecell, Tripeaks, and Pyramid. Another very popular game is Zynga Poker. Zynga Poker exists as an application for Facebook and an app for Apple and Android devices. The game was first introduced in 2007. In 2011, the game had over 35 million players and was the largest online poker game on the planet. According to numbers from 2014, over 300 million people played Zynga Poker at some point and the game had millions of daily players. Zynga Poker introduced a new version of the game in which it was possible to play with money in 2013. The experiment didn’t last long, but today you can find all sorts of apps in which you can play for money if you want to.